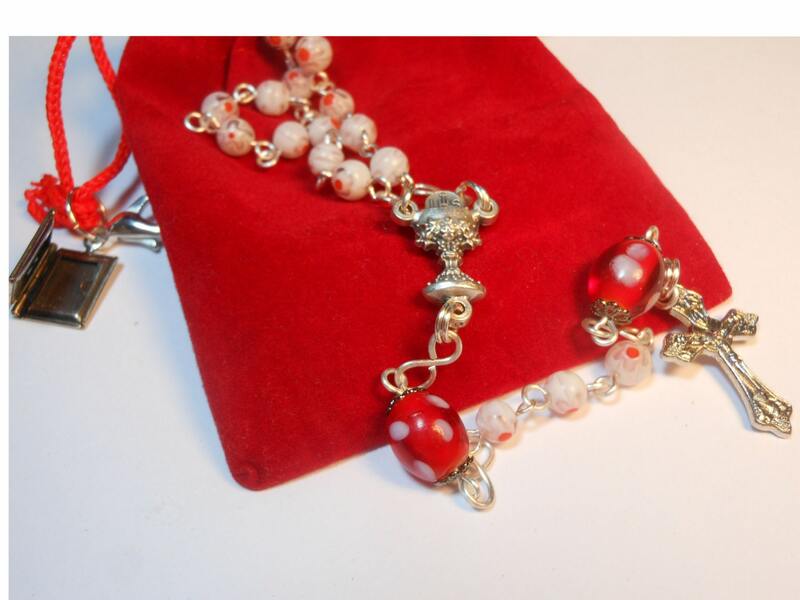 Millefiori rosary "Rejoicing" white and red floral beads, lamp work centers,silver plated wire, crucifix and chalice medal center - free pouch. 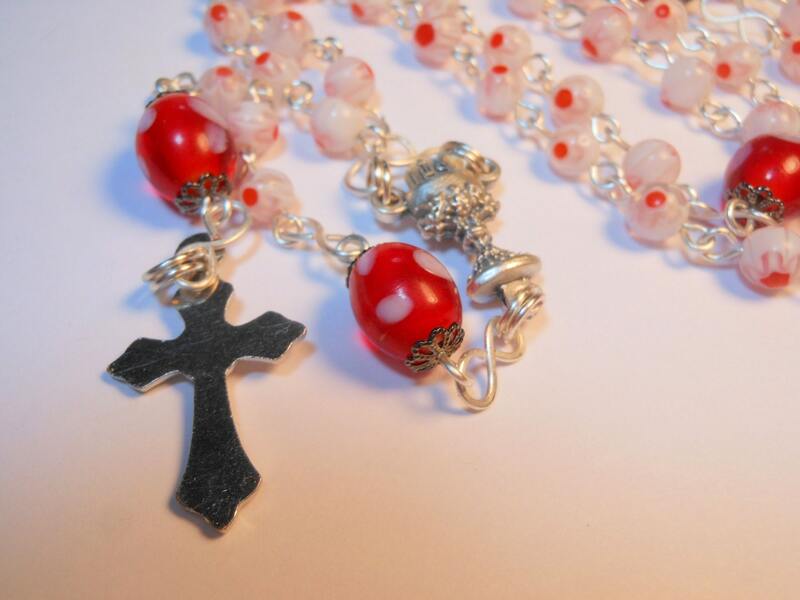 The Our Father beads are encased with gun metal bead caps. 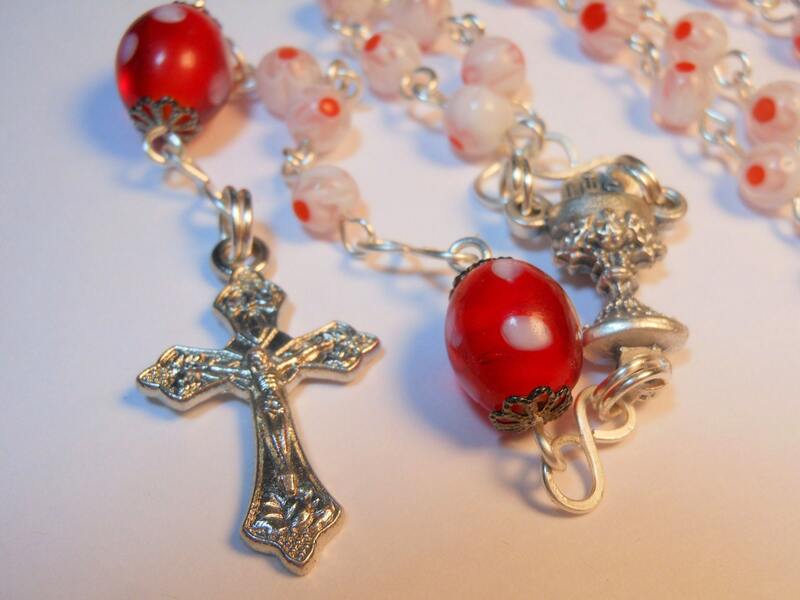 The rosary is all handmade and wire wrapped in silver plated wire (no by-the-foot rosary chains used here!). This is great for a first communion or any person or event that calls for bright colors but remember the centerpiece can be changed out. I love the juxtaposition of the red and white and see a smile on anyone who loves polka dots! 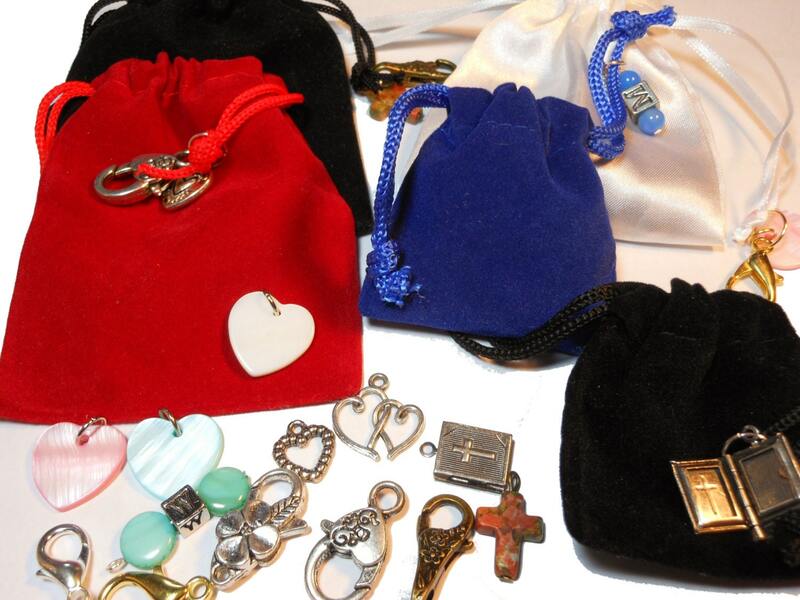 For a communion the bible charm locket would be great. 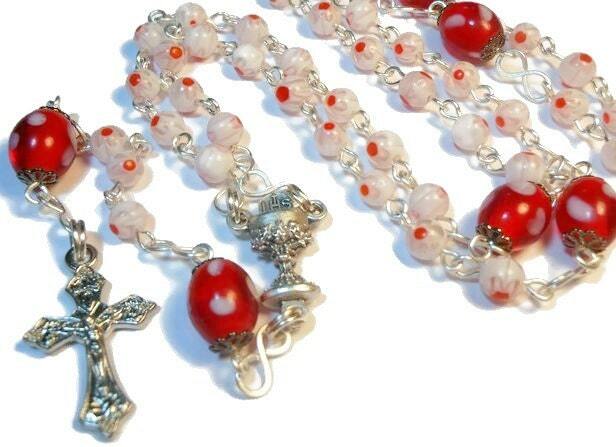 Generally I make the rosary as a whole concept but crosses and centerpieces can be changed when possible. Please convo me or call (724-537-9618) about your preferences.